Leading figure in the cultural and creative industries, equalities and social justice Baroness Lola Young has been awarded an honorary degree by her former university. 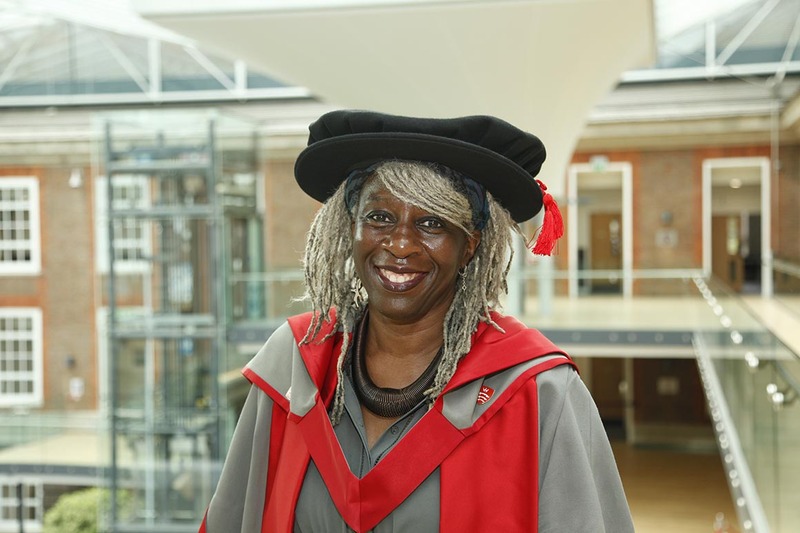 Middlesex University alumni Baroness Young graduated from the University with a BA in Contemporary Cultural Studies and later completed a PhD on British film, before working as Professor of Cultural Studies in the University's School of Media and Performing Arts. She has since gone on to make waves in the world of culture, championing cultural diversity and equal opportunities. She has recently chaired a task group, which produced a well-received influential report, the Young Review. The report's conclusions make recommendations that seek to improve outcomes for young black and Muslim male offenders. She was presented with the award at the University's graduation ceremony on Friday 17 July. Middlesex University Vice-Chancellor Professor Tim Blackman said: "It is a thrill to see a former graduate and member of our staff become so well respected and make such a difference to the world. Baroness Young's campaigning and passion across a wide range of issues, from sexual violence in conflict zones to criminalising contemporary forms of enslavement, has seen policy changes implemented for the better. "We are extremely proud to have worked so closely with Baroness Young and delighted to have welcomed her back and present her with this award."